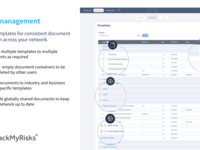 Governance, risk & compliance document control doesn't have to be painful. If you're still using spreadsheets, calendar reminders and email, there is a better way. 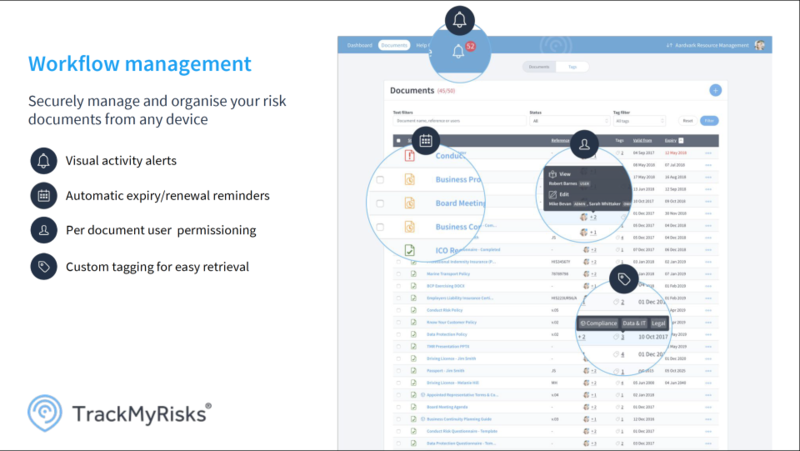 Take control of your governance, risk and compliance documents with TrackMyRisks. Very rarely in your working life do you come across a tool that "just nails it" - this product does. Pros: Working in compliance and on the front end of Data Protection as DPO you know what it means to have your, or the organisation you are working for, house in order. Management and centralisation of key artefacts in terms of Policy, Processes, Contracts, Reports, Evidences and the like is paramount as is the security and privacy of those. When combined with the need to ensure that the DPO and other internal & external stakeholders have visibility to a controlled current master copy of those artefacts it raises another problem. TMR solves that in spades with its Privacy by Design and Default approach to sharing and permissions on those docs. Only the creator has visibility until it is explicitly shared. Brilliant. It also solves another huge headache for organisations - audit. A mere mention of it in most organisations spreads fear and panic... where are things, is it up-to date, various people and departments running around preparing to supply pre audit info and pooling artefacts for the actual audit info in paper or electronically..
TMR does all this with ease when used and managed across the daily business activities making blind panic a thing of the past and smug confidence an absolute reality .As soon as the auditor requests info, a simple permissioning of the auditor against the required docs is all it takes for the info to be shared Oh and every bit account document and user activity is logged. A massive plus for accountability and risk management. Cons: Normally this section is easy to fill for a software tool, but actually it is the hardest for me to do so with this product. The only issue i can think of is it was not about years ago to help me when i needed it ! Overall: I can't say anything other than exceptional. From the outset in meeting honesty and open approach to my pretty detailed due diligence on them, the company and the software were absolutely refreshing, to say the least. You know when a good idea has been realized and built into a good product and is not about rushing to market. This product has been thought about and designed from the ground up from people with a lot of knowledge, passion, and experience. 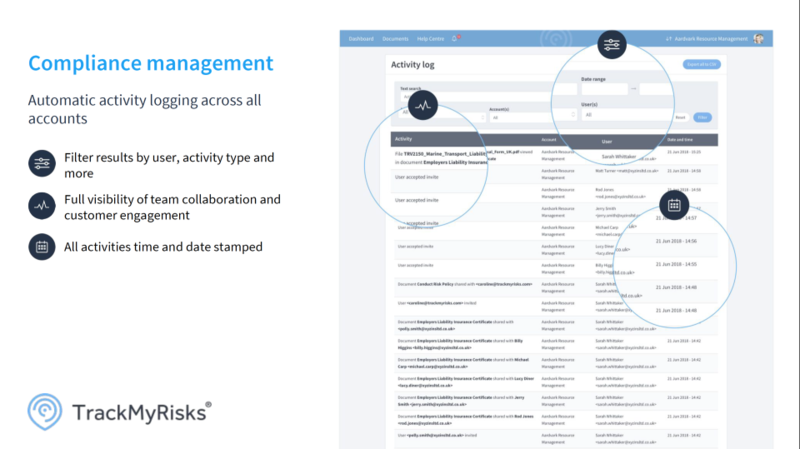 It is absolutely the most revolutionary tool I have used in an organizational management capacity for me personally in managing my home artifacts, within my own business and indeed for my clients. It really is that versatile and that good and I can't recommend it enough. Thank you Dave, this was a real pleasure to read and we are so glad you are enjoying TrackMyRisks. Pros: All critical documents in one place - a single version of the truth! Cons: I think a few elements of the UI could be improved. I'm being very picky though. 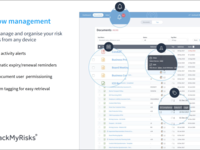 Overall: TrackMyRisks allows a centralised repository of critical documents to be easily and securely managed. The headache of version control is addressed and there is confidence in the security and permissions. 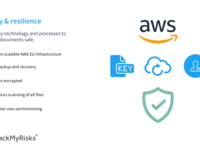 Tied in with the managed service Continuity Partner provides for our Business Continuity and it's a winning formula for any business that is struggling with the not inconsiderable overhead of Business Continuity and Disaster Recovery Planning. I'm also looking forward to how future development proceeds around risk management. 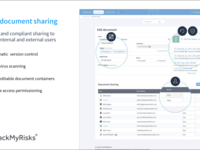 Overall: - We have fully embraced TrackMyRisks as the solution that we use to exchange sensitive information between clients, insurers and ourselves. The solution works well for us today and continues to develop to meet additional needs. We see this as a significant differentiating factor in our offering over that of competitors. Thank you Chris. UX/UI design is crucial to our success so thank you for your ongoing feedback! Pros: This program is actually easy to use and every angle for the beginners seems to have been thought of. 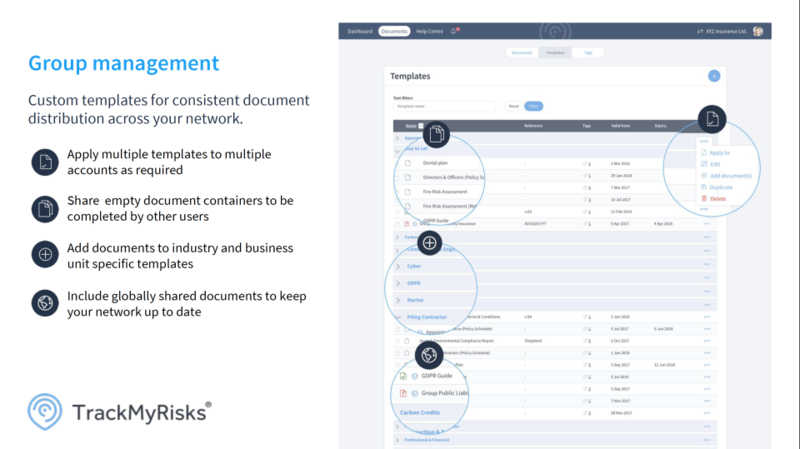 This can be used as a prospecting tool in itself for resellers or for clients, a safe repository for their critical and essential governance documents. Overall: I am prospecting with the tool, setting up accounts and allowing access to shared documents for prospects to see the benefits. Pros: I can invite unlimited users for docs sharing, and the it's very easy to check the documents. Overall: A very good opportunity to share online documents, with security measures and encryption, with GDPR (General Data Protection Regulation Eu 679/2016) compliance. Pros: Cloud based, Safe and secure document storage and file sharing. Permissioned alerts for document expiry. Where has this tool been? Overall: I use it personally and for DrivenMedia. It keeps track of those things I really don't want to think about Insurance, certifications etc. No more forgetting to tax the car! Thanks for the review Ed. We have recently broadened the range of file types that can be uploaded to include PDF, DOC, DOCX, XLS, XLSX, PPT, PPTX, JPG and PNG - hope that helps. 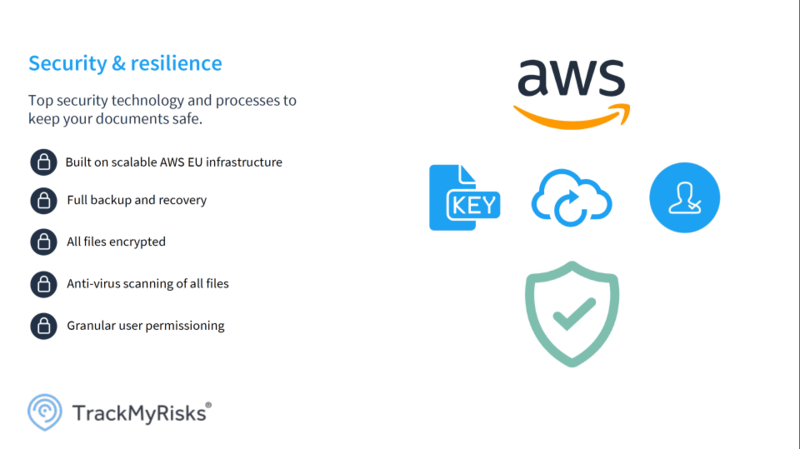 Pros: The software enables us to keep all of our compliance documentation in one place, giving ease of access and the peace of mind that it's always the most up to date version. Cons: To date there have been no cons to the software. 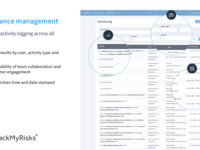 Overall: TrackMyRisks helps us to affordably organise, maintain and evidence our regulatory compliance program across the business. Customer support rep and the team are always on hand when we need them. Pros: This system is really easy to use even for the not so techy person. Cons: I have no complaints at all about TrackMyRisks. Overall: This is a clear concise system that is user friendly. The support pages are clear and easy to understand. I logged into this system without any guidance and found it really easy to load documents and share with others. Pros: Very easy to set up documents on the system, and to keep track. Overall: Excellent method of making documents available to multiple views, but keeping control of them.